I discovered another fabric shop in our city today! 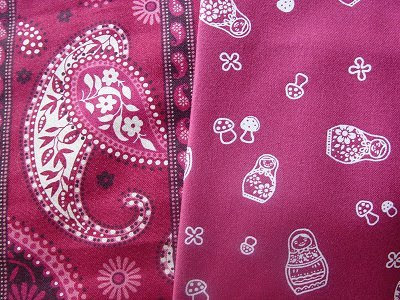 I even found some Russian Doll and Paisley fabric - my two favourite patterns. So here is a sample of the latest fabric I have in my hot little hands at the moment... and the 6 little bunnies (rolled up in a row) nearly ready to go up for adoption. 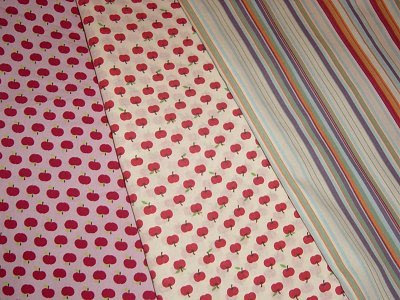 Ooooh aaaaah, very nice fabrics Kristy! 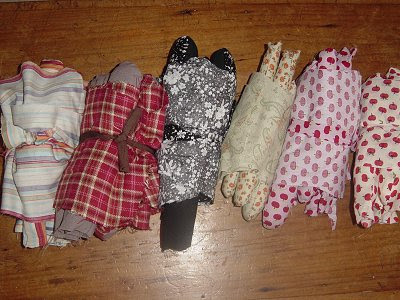 Which reminds me, I'd like to order a beanie bunny for Jen Harding's baby. Don't know what they're having yet. I can't wait to see what you create with these fabrics!